It doesn’t have to cost a lot to bring the look of Fall into your home. You can easily and inexpensively get a festive look by adding seasonal colors to your current decor. 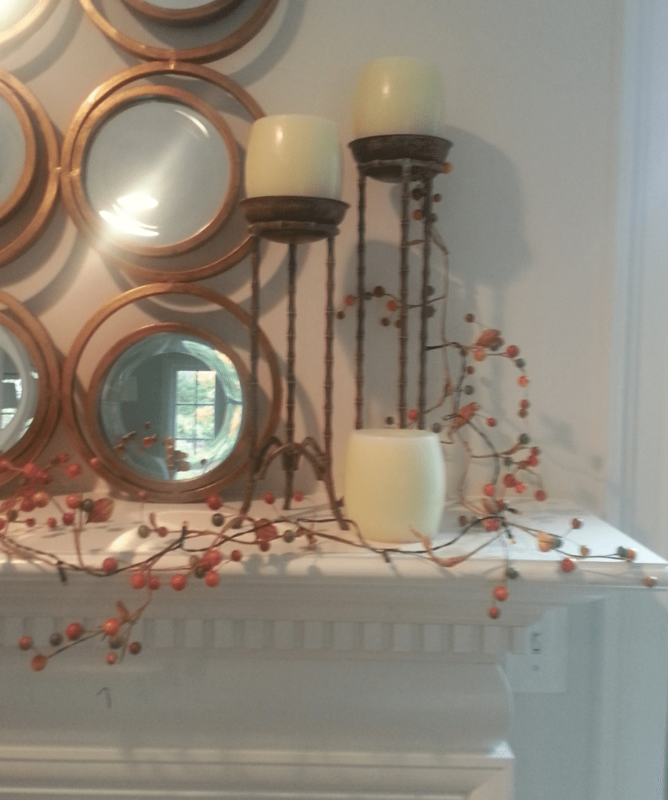 Fall decorating with warm earthy hues in shades of orange, yellow, and red. These warm shades evoke the cozy feeling of the Autumn season. Think about the leaves on the trees turning all of those beautiful tones. A soft woven afghan in a blend of fall colors can warm up a room. A few well placed accessories with splashes of orange can add a “pop” of bright color and add interest. Wreaths, candle sticks, table runners, or pretty containers filled with gourds are all inexpensive ways to bring the fall look into your home. Make your own arrangements with colorful leaves and berries. Its interesting to use actual pumpkins or gourds as vessels, but a simple Ball jar works perfectly well. Ball jars can be purchased at the local Dollar Store, and the branches and leaves are right off the tree. Garlands of berries go a long way too. Whether strewn across the mantle or swagged across your drapery rod, it is an inexpensive way to bring both color and texture to your decor. Pictured below is my Fall pumpkin vignette. I arrange it in a similar way each year and it brightens up the empty corner in my entryway. The pumpkins are faux, so I can reuse them year after year. It’s also nice that I don’t have to worry about them rotting out on my hardwood floors! 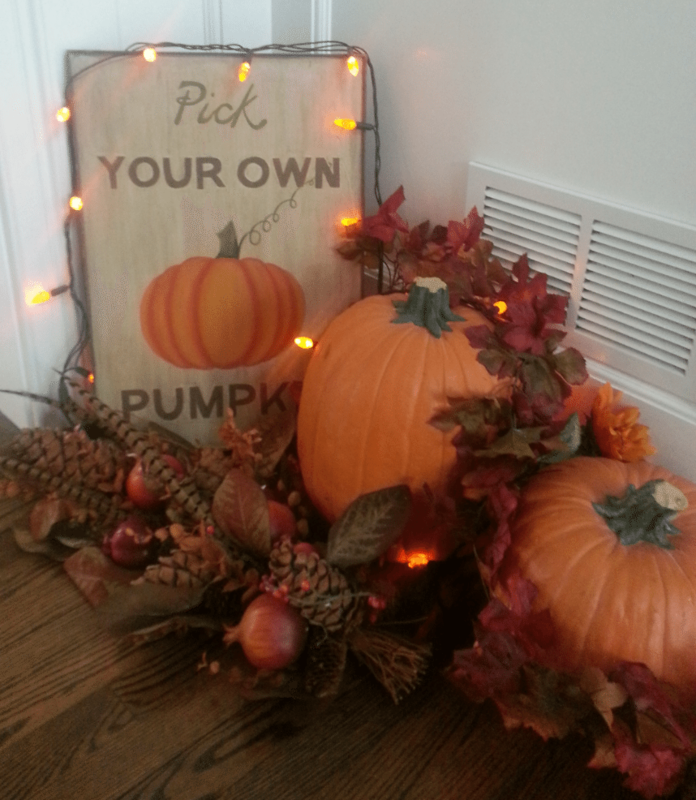 Do you have any favorite Fall decorating ideas to share? We would love to hear from you.